Netflix wants to make your trip back home this holiday season a little merrier. The company announced on Wednesday that select TV shows and movies were available for download on Android and iOS. 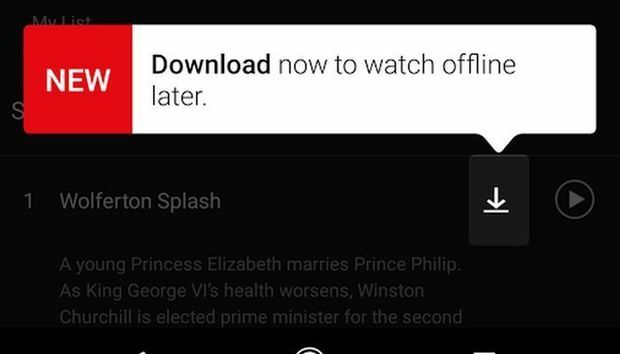 In other words, Netflix now enables offline viewing. It’s not for everything, though. Most of Netflix’s original programming will be covered by the new feature, but some titles may not be due to licensing restrictions. Netflix's new "Available for Download" section in the app's menu. The easiest way to see what shows can be downloaded is to tap the menu in the app, and then go to the appropriately titled “Available for download” section. Otherwise, tap on something you’d like to watch offline, and if it’s available for download there will be a downward arrow icon next to each episode. For movies, the download icon will appear in the details section just below the movie description.